Mental disorders may have a distinctive molecular or genetic architecture that may provide a way to better diagnose mental illness in the future, suggests a study accompanied by a news article recently published in Science. The pioneering study of the postmortem brains of more than 700 adults with autism, schizophrenia, bipolar disorder, depression and alcoholism suggests there are somewhat consistent molecular patterns within patients with the latter mental disorders. The study's authors report at least five major psychiatric disorders have identifiable patterns of gene activity. However, the biological process by which these genes are expressed as mental disorders is yet to be determined. Among some surprising findings, the study reports some mental disorders are more biologically similar than their outward symptoms suggest. The news story that accompanies the study explains the discovery is significant because mental disorders currently are diagnosed based on external symptoms that are less reliable and clinically are more difficult to discern than a person's genetic architecture. The news story notes the findings may lead to new and improved diagnostic tests as well as novel therapies to better detect and treat mental disorders. 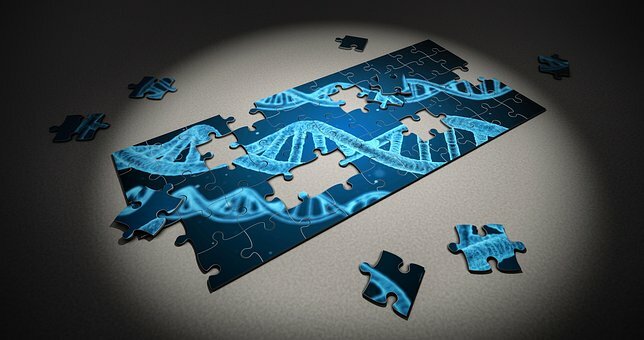 While the news story acknowledges it may be years before the current findings lead to improved patient diagnostic procedures, the study adds to emerging evidence of the linksbetween specific genetic architectures and mental disorders. Regarding the importance of the study's overall findings, a leading psychiatric geneticist tells Science (and we quote): 'This (research) is changing fundamental views of the nature of psychiatric illness' (end of quote). Otherwise, it occurs to us that Genetics Home Reference, (NLM's website that is devoted to helping patients and caregivers understand health's genetic dimensions), may someday contain an array of information about the associations between genetic patterns and mental illness. Meanwhile, some of the symptoms of mental disorders are provided by the American Psychiatric Association within the 'start here' section of MedlinePlus.gov's mental disorders health topic page. Mental Health America provides advice to help families recognize the warning signs of mental illness in addition to coping strategies within the 'living with' section of MedlinePlus.gov's mental disorders health topic page. Links to the latest relevant journal research articles about mental disorders are available in the 'journal articles' section of MedlinePlus.gov's mental disorders health topic page. Links to pertinent clinical trials that may be occurring in your area also are available in the 'clinical trials' section. To find MedlinePlus.gov's mental disorders health topic page, please type 'mental disorders' in the search box on MedlinePlus.gov's home page, then, click on 'mental disorders(National Library of Medicine).' MedlinePlus also has a health topic page devoted to mental health.